14. Mechanical key: Emergency unlocking with mechanical keys is available. 5.Stand-alone locks that require no wiring,using 4 standard AA-battery that works for one year to two years. 8. 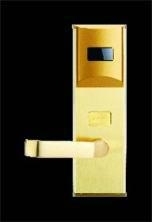 Flexible handle that protects inside components from maliciously and forceful destruction. 502,Building 1, Buji New 2 Village, Buji, Longgang District, Shenzhen, 518112, China.